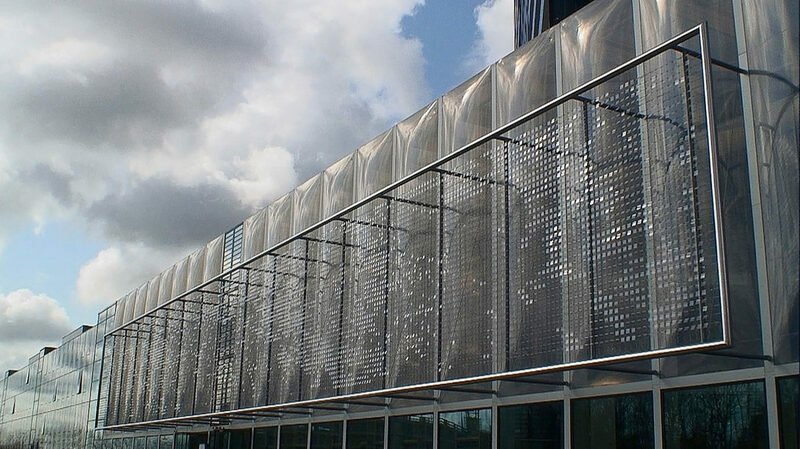 A collaboration with the architecture firm, Cepezed, on the design of the entry facade of the Dutch Water Departments new headquarters in Utrecht. 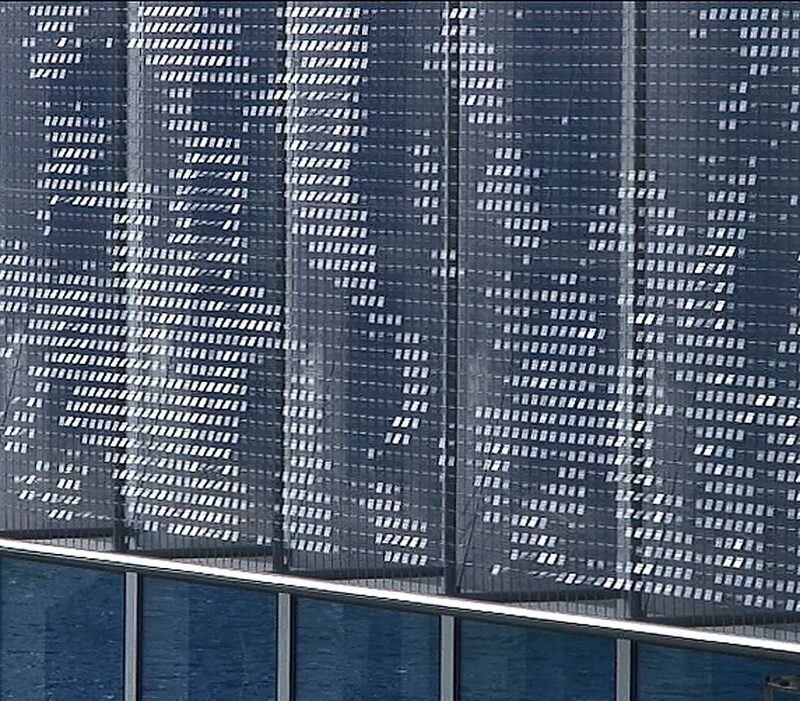 Intended to suggest a transparent vertical plane of water, the artwork consists of thousands of clear plastic panels suspended from a minimal stainless steel cable net so that they undulate in the wind. 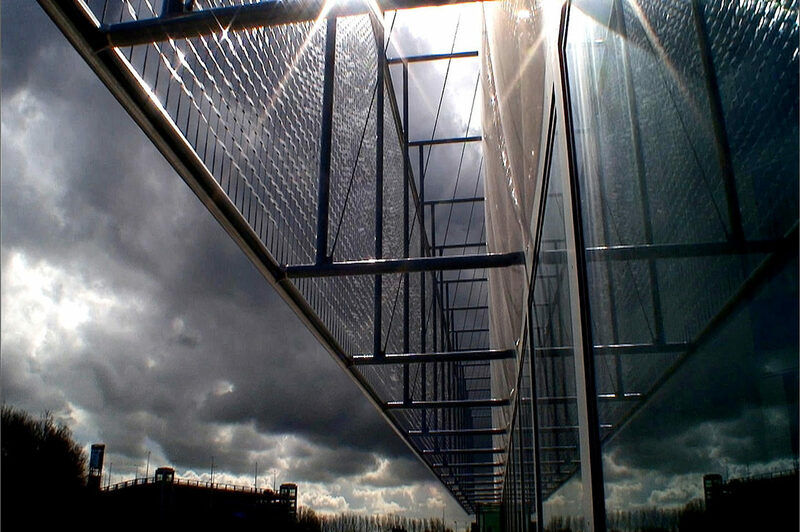 The panels are almost invisible until they move and catch light and color from the sky. The artwork is intended to complement the facade of the building which is made out of semitransparent, “cushions” of ETFE plastic that are pressurized with air. Completed in 2008.